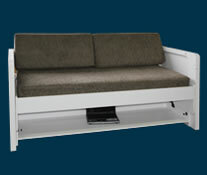 Hiddenbed stays cleverly hidden away during the day so most people never get to see it... until bedtime. Release the safety catch and Hiddenbed glides into place. You don't need to remove anything from your desk. 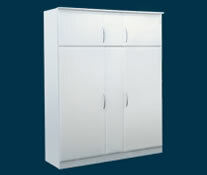 Perfect for small spaces, studies and guest rooms - because it doubles your space! 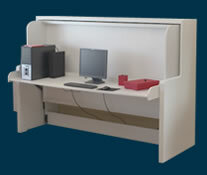 We have seven showrooms throughout New Zealand where you can experience the Hiddenbed system in person. 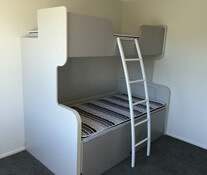 We also deliver throughout New Zealand.